While there are many awesome events to keep an eye on this Spring, what about those of use that don’t like to go to events with tons of people? It might be fun to consider trying a new class! There are several unique classes coming up around the Emerald Coast. We’ve covered a little bit of everything from yoga to art classes. Here are seven out-of-the-box classes to consider taking this Spring! Goat Yoga | Saturday April 6 | 9 AM and 10:30 AM | Emerald Coast Zoo | 5262 Deer Springs Dr. | $30 | Yoga class in a nature setting with GOATS. Yoga mats are provided and the cost of the class includes a day pass to the zoo! 臨Weaving Workshop | Saturday May 11 | 10 AM | Artbound | 180 Miracle Strip Pkwy. 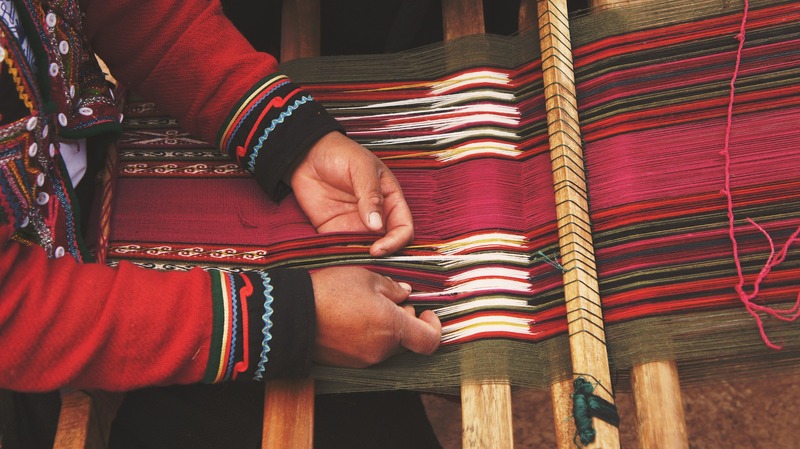 SE | $55 | Weaving on a wooden loom to make wall art. Price includes materials, equipment, and instruction. ⚒ Introduction to Blacksmithing | Saturday April 6 | 10 AM | Heritage Museum of Northwest Florida | 115 Westview Ave | $85 | Learn the basic skills of the blacksmith including safety, tools and equipment, and the skills for drawing out, upsetting, hotcutting, bending and punching. Must wear sturdy shoes, long pants, and long-sleeved shirt. Preregistration is required.  Sign Painting | Friday April 19 | 6:30 PM | De’France Indoor Flea Market | 230 Eglin Pkwy SE | $40+ | Paint a sign with a saying or quote of your choice. You can choose from one of the many signs Anissa has created or have her create a custom sign just for you. Call or stop by to sign up. Zentangle Art and Beer | Wednesday April 17 | 6 PM | 3rd Planet Brewing | 1400 John Sims Parkway | $40 | Zentangle is an easy-to-learn, relaxing, and fun way to create beautiful images by drawing structured patterns. It is a tool that promotes a relaxed focus and mindfulness. Art supplies are provided. No artistic experience is necessary. Attendees get $1 off of beers. ➕ First Aid, CPR, and AED | Saturday April 27 | 9 AM | Comfort Inn Fort Walton Beach | 137 Miracle Strip Pkwy. | $89 | Learn First Aid, CPR, and AED. This class covers adult and pediatric! 律‍♀️ Way of the Happy Fascia | Friday April 12 | 7PM | Destin Hot Yoga | 11275 Emerald Coast Pkwy. Ste. 9 | $25 | Self-myofascial release is a practice that has a profound effect of calming your nervous system and can help ease tense muscles. This class also incorporates it with yoga. Bring two tennis balls and a tube sock to the class. Which classes do you wish we had in the area? Let us know! I personally wish we had a kombucha making class locally!